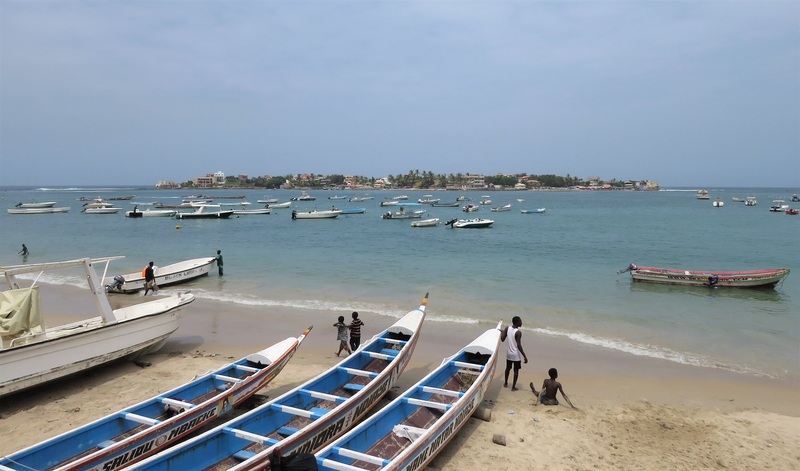 Why would two Portuguese, a Mauritanian, a Cape-Verdian, a French, an American and a Belgian set off on a boat trip one morning in October? Seabirds of course! 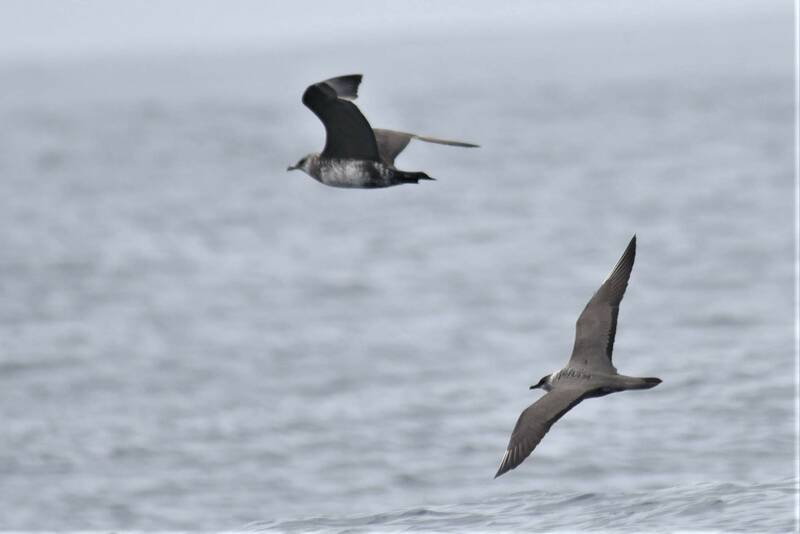 With Gabriel in town, Bruce over from the US, Miguel and Antonio as motivated as ever to get out of the office and to have some of their BirdLife colleagues strengthen their seabird id skills, it was time to organise our now annual autumn pelagic, on October 1st. Conditions were perfect to get out on our small boat (organised through Nautilus Diving: merci Hilda!) though probably a bit too calm for active seabird migration. We chose to head straight west to the edge of the continental shelf, rather than try the “trawler area” off Kayar as this is quite a bit more distant from Ngor. 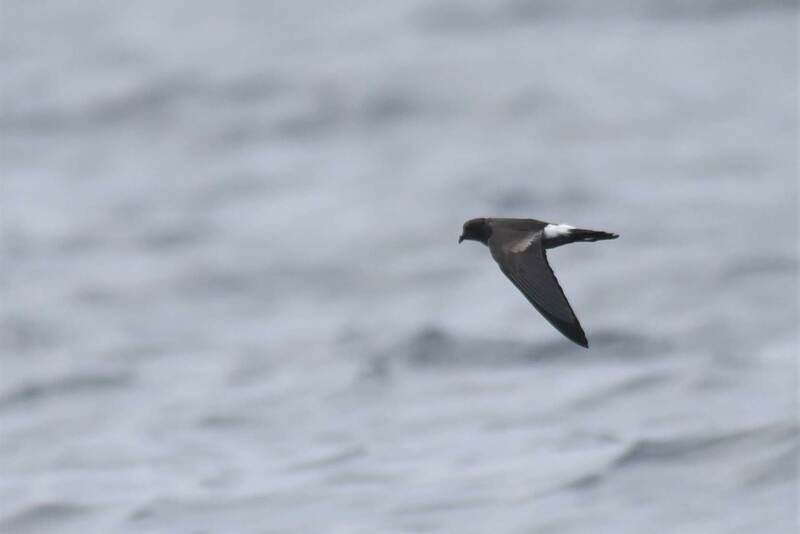 Needless to say that expectations were high as is always the case during these rare opportunities to get close views of the treasured tubenoses – storm petrels, shearwaters – skuas and maybe some Grey Phalaropes or Sabine’s Gulls. 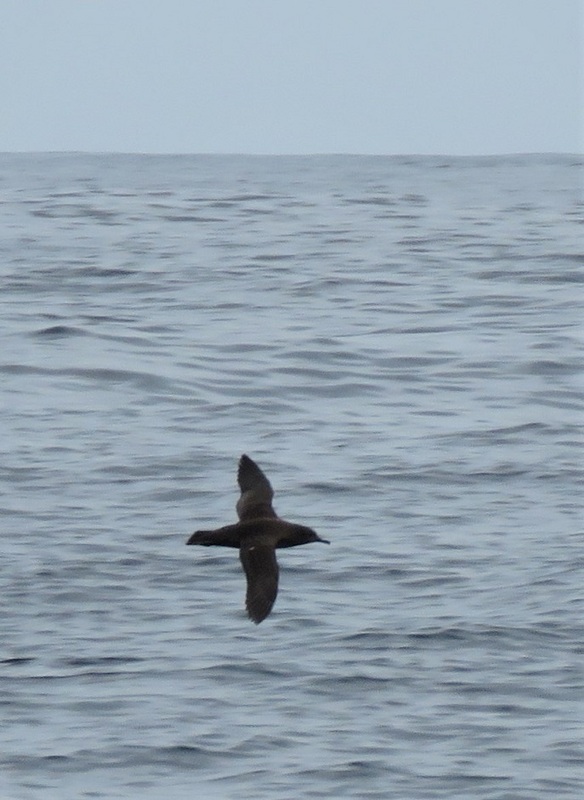 A Manx Shearwater zooming past the boat was one of the first pelagic species we got to see, followed by quite a few Sooty Shearwaters (Puffin fuligineux). 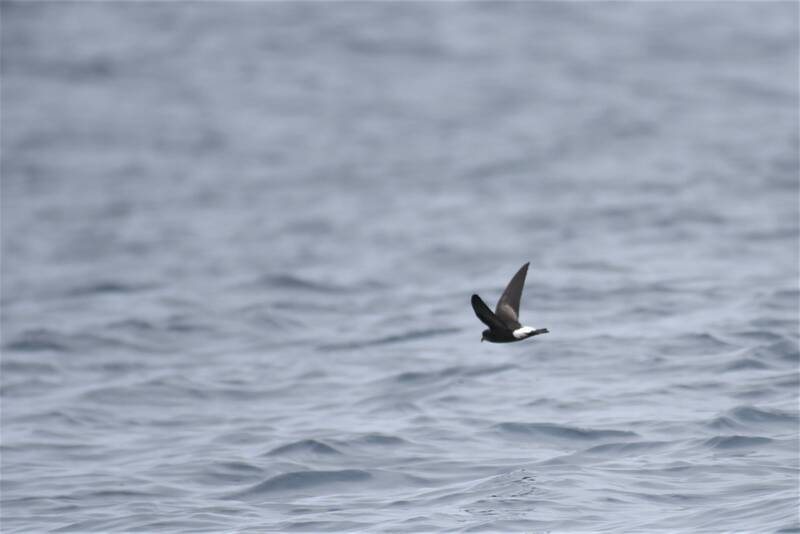 Further out, Wilson’s Storm Petrel became the dominant species, with a few dozen birds seen – and probably many more that went undetected – particularly around the upwelling area. 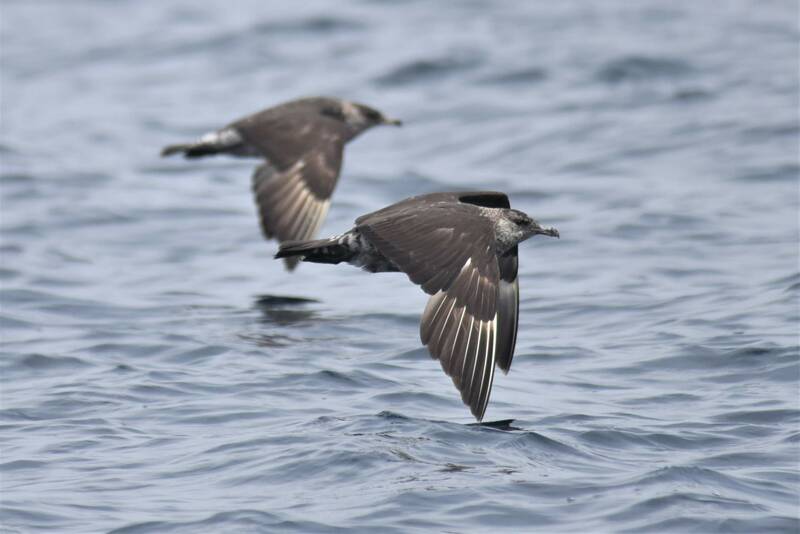 Almost all were obviously actively migrating, and we managed to get some good views of several of them as they zoomed past our boat. 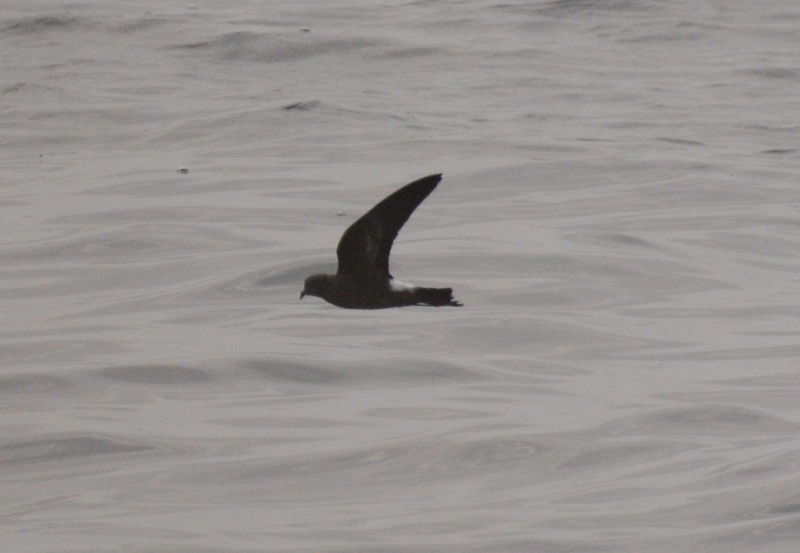 Of course, several storm petrels remained unidentified, but we did manage to get decent views of at least two European Storm Petrels (though alas no pictures!). The toes projecting beyond the tail that are diagnostic of Wilson’s are more or less visible on the pictures below. 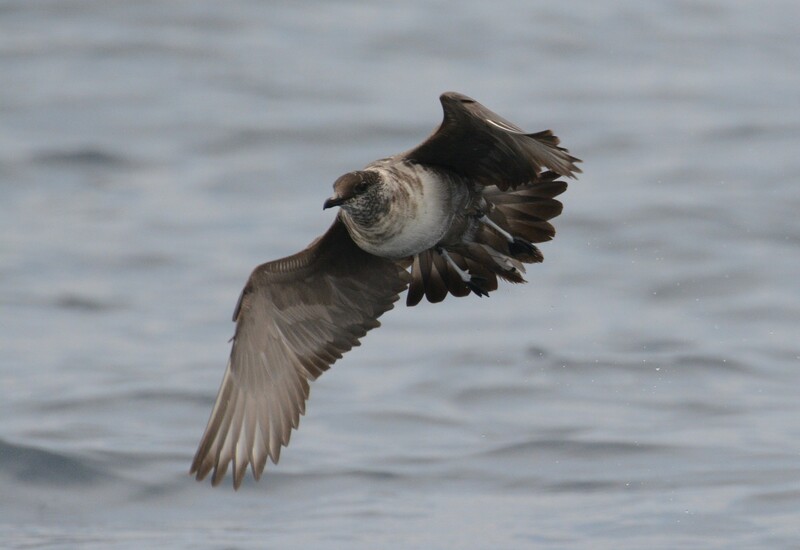 Up next: skuas, or jaegers as our American friends call them. 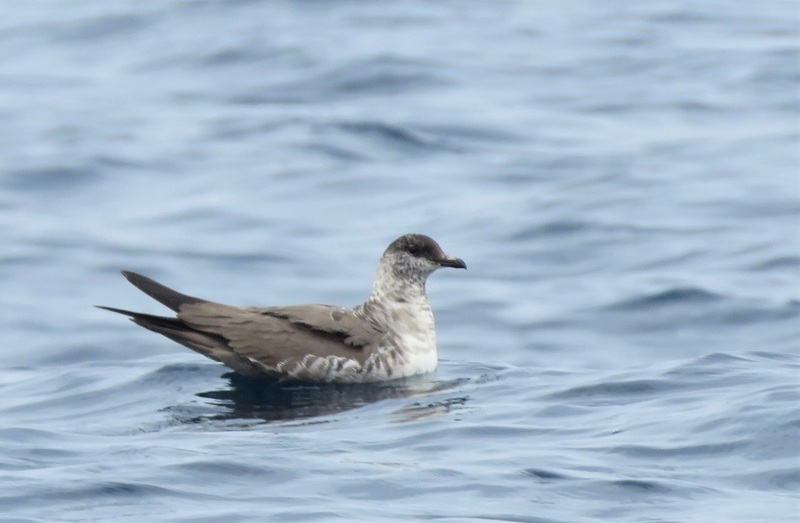 We didn’t see many, with just three Pomarines and just as few Arctic Skuas, as well as an obliging Long-tailed Skua. 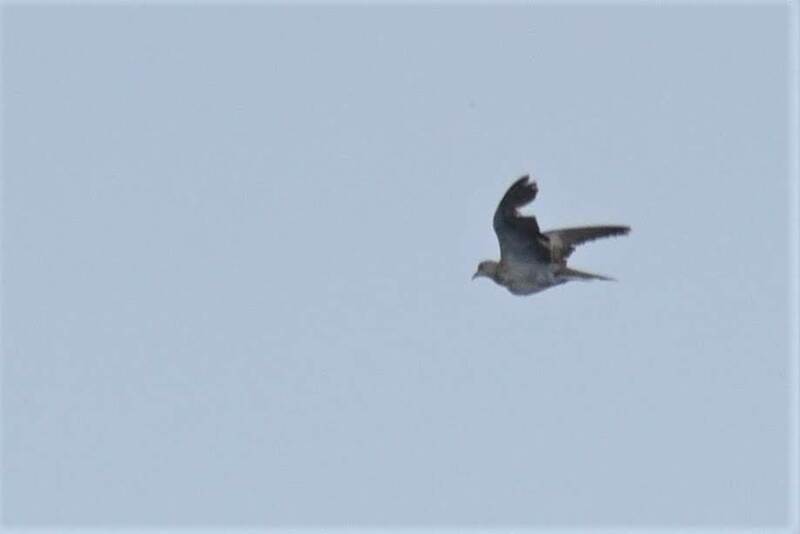 The latter was an interesting bird that we aged as a third-summer moulting into third-winter plumage. 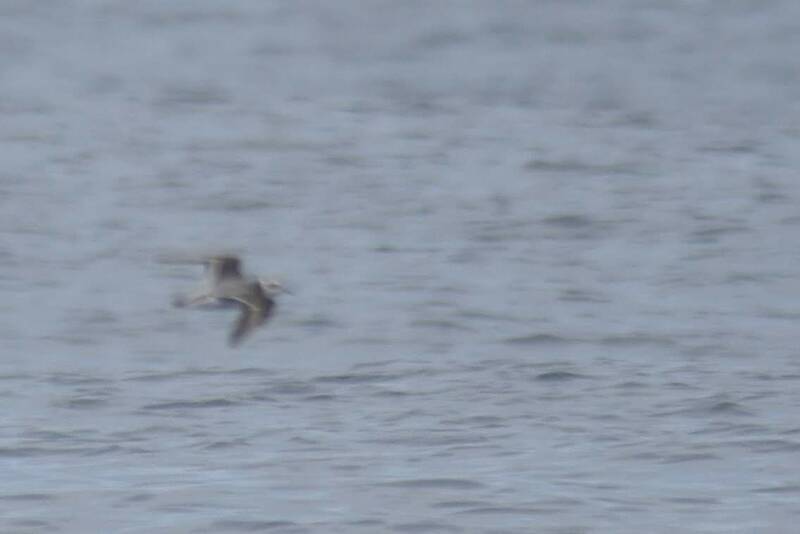 It briefly joined two Pomarine Skuas (second-year birds?) allowing for nice comparisons of size and structure. Our complete eBird checklist, expertly compiled by Miguel, can be found here. 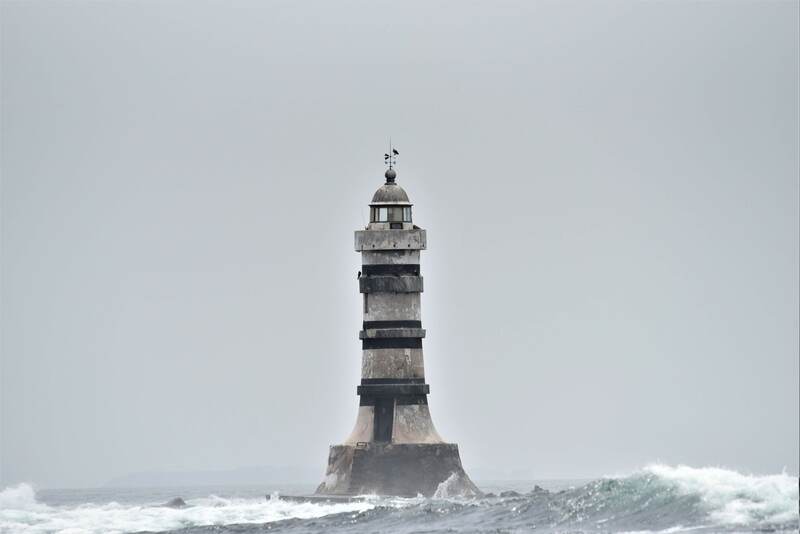 We really ought to add the Osprey that can just about be seen sitting on top of the Almadies lighthouse, but which was noticed only later on this neat picture by Bruce of the lighthouse – Africa’s westernmost building, constructed some time in the 19th century (precise date seems unknown?) 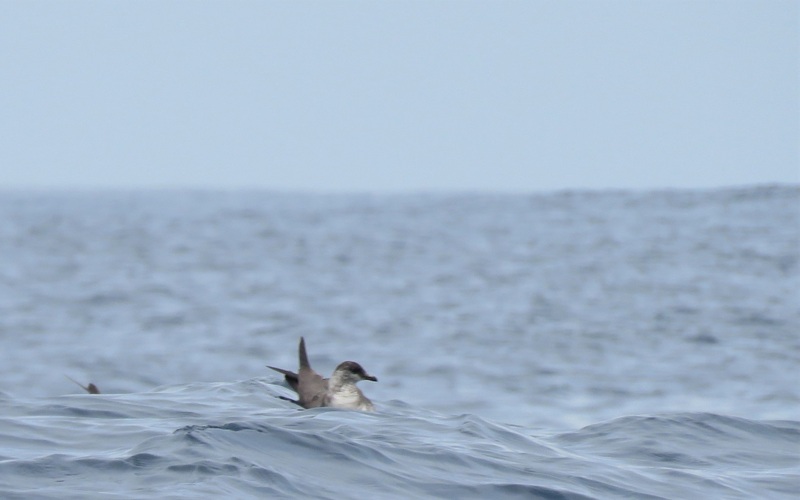 on a reef that lies just off the Pointe des Almadies. Many thanks to Antonio and Bruce for sharing their pictures!